This is one of the classics, from one of the masters! Contemporary Christians know that God answers prayer and that praying is important, but most also wish their prayer life could be more effective. Murray instructs readers from Scripture and the life of Jesus that prayer is the root and strength of all work for God, that God intends to answer every prayer, and that prayer is meant to be a way of life. 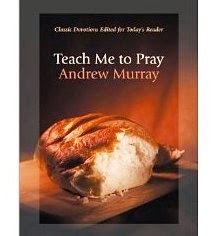 This is a collection of carefully-excerpted devotionals from the writings of Andrew Murray. Bringing together 180 selections from Murray’s writings, it addresses issues like the Holy Spirit, faith, obedience, love, and more. Text is lightly updated for ease of reading, and handsomely packaged for gift-giving.